In an effort to help online home shoppers avoid the emotional let down of falling in love with homes before they visit them, I wrote this article to point out some of the main differences between online listings and real life homes. 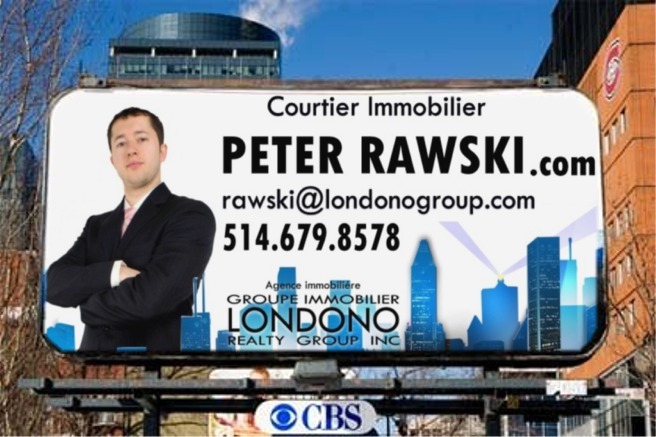 I often get contacted by homebuyers in Montreal who have found their dream home online and want to see it immediately. They haven’t communicated with a real estate professional yet, and they haven’t looked at a home in person for many years, but somehow they know that the home they just found online is the right one. Usually, they have been looking online for a few months and the excitement has been building. This is very common for first time home buyers. After personally showing homes for so many years, I’m constantly reminded that the perfect home for sale online rarely become the perfect house in person. Here are some things to consider. First of all, when someone hires a real estate professional to list their house for sale, the #1 one job of that agent is to get the most amount of showing activity possible. That is why they are referred to as the “listing” agent. Their #1 priority is to list the property to the best of their ability with all the tools available. Listing agents use photo and video tricks to showcase the property’s highest and best qualities. For this reason, real estate tend to look better online, than in person. You’ll find out the real details upon visiting the property. Good photographers know how to make a space look larger than normal by using wide angle lens and imaging software. The lens will capture as much of the room as possible and display it in a wide image. This will cause a “fisheye” effect that distorts the image, so the photographer will us software to correct the distortion. I use Adobe Lightroom to adjust the image. It aligns the image back to a parallel shape, while still maintaining the depth of field. This usually makes the room look more spacious online. Good photographers will also crouch, or lay down in the corner of the room to get a view that makes the ceilings look taller than they really are. It also causes the room depth to appear farther than normal. If there are too many pieces of furniture in a room, listings agents will advise sellers to put those pieces of furniture in storage to create more floor space. When an image is taken from a low spot in the farthest corner with a wide angle lens, the result look like the room is huge with extra tall ceilings. You can’t trust images online to accurately show the dimensions of a room. It’s very hard to tell how clean a home is from the photos online. Experienced sellers have been preparing their home for months in advance by doing repairs, painting, rearranging furniture, etc. When it comes time to take the listing photos, they are exhausted. They will do a deep clean in all the main areas, but not necessarily throughout the whole house. When you visit the home, you may find that the closets, secondary bedrooms, bathrooms, and/or garage spaces are not very clean. Dusty blinds, baseboards, and decor can reveal a home that is not cleaned as often as the online pictures may appear. This can be a major turnoff for many homebuyers. HDR image processing is also a tool that real estate agents and photographers use to make a house “sparkle” online. HDR (High Dynamic Range) processing is slightly deceiving and unfair to the viewer, in my opinion. With that said, I do use it. It’s just too powerful of a tool to not incorporate into my toolkit. An HDR capable camera is setup in the corner of a room (usually at a low angle), on a tripod with a wide angle lens. Using a remote trigger, the camera will snap of a serious of images using different light exposure ranges. These images are then oversampled together into imaging software to use the best possible lighting for each pixel. This creates an effect of perfect lighting. Sometimes the software is overused as well. Have you ever seen an online listing photo that looked more like a computer graphic than an actual house photo? That’s caused by overusing HDR processing. When used correctly though, HDR imaging will cause a home to shine in the perfect light and appear to look “heavenly”. What it looks like in reality may be another story though. Picture this: You have been looking at homes for a couple of months and you haven’t found the right home yet. Your agent sends you a listing that just came on the market and IT’S PERFECT! You stop everything and rush to view the property immediately. You get to the home and are eagerly waiting at the front door for your agent to open it. As soon as the front door opens, your nose is inundated with the smell of a thousand city zoos. Aromas of cats, mixed with a hint of monkey and lama all dominate the air space. You really want to look at the home, but all you can think about is the overwhelming smell of animals. This is a classic scenario that every Realtor deals with. In my opinion, it’s probably the hardest issue to overcome when I’m showing homes. When I’m in a home with strong pet odors, it’s almost impossible to focus on anything other than, “lets get back outside”. Animal lovers don’t understand this problem. They are immune to the smell. In my experience, I’ve noticed that cats are worse than dogs. Male cats are prone to “spray” to mark their territory, even if they are neutered in some cases. This smell is almost impossible to get rid of. Regardless of the type of animal, it takes a very clean home owner to remove the smell out of the home on a daily basis. Many pet owners are not able to do this well. They will try to fix the problem with candles and carpet deodorizers 30 minutes before a showing. That only works for a few minutes. After a short time in the house, the pet hair and ammonia smell will start to come through. This is a problem that online home shoppers cannot tell by looking at listing photos. I’m a house “flipper”, meaning that I buy a couple homes each year, remodel them, and then resell them. One of my most powerful tools for reselling a property is home staging. My wife has a wonderful design sense and takes care of all my staging needs. We have extra furniture and crates of staging decor in storage that we use on each home. Curtains, chairs, magazines, mirrors, flowers, hand towels, front door wreaths, and area rugs are just of few of the items we use. I am always amazed at the degree of impact staging makes on a home. It looks so peaceful and tranquil after it is staged. Our homes usually sell in a day or two. The last home we sold in only 18 hours (last week). I listed it at 3:30 pm on a Friday. I had a buyer request to meet me at the property on Saturday morning at 10:00 am. I got there at 9:45 am to put the sign in the front yard. She got there early and told me not to worry about the sign, she wanted to pay cash and buy it that day. She had not even been inside the home yet. We went inside and within 30 minutes we had put together a purchase contract. That was the fastest sale we have had on an investment property. The buyer said that the home “felt” so peaceful. She had made up her mind before she even got there to view the home. In this case, she did buy a great home in a great area, but some people can be persuaded into buying homes that are not in great areas with the power of staging. Staging has an emotional effect on many buyers. If the home is competing against other listings that are not staged well, it will stand out above the rest and usually sell very fast, even in an area that is not as appealing. I highly advise hanging out in a neighborhood for a few hours if you are seriously considering purchasing a home in that area. Don’t let the emotions of the online presentation persuade you that everything is peaceful. If the neighbors are outside, introduce yourself and try to get a feel for the social culture of that particular street. I was showing homes in a rural neighborhood a few months ago and my clients really liked the home. We ended up on the back porch discussing the possibilities of putting together an offer. All of the sudden we hear a goat. Then we heard a couple more. Apparently the neighbor had a small goat farm next door. As we walked the fence line to investigate the situation, you could smell the goats strongly through the fence. Needless to say, my clients did not like the idea of sharing a fence with a goat farm. This was an issue that was not noticeable in the online listing. I’ve also been at a showing appointment and heard gunshots. One time I was standing in the front yard of a home for sale talking with my clients. As we’re talking, we hear the front door slam on a house across the street, about 3 houses down. A man walked out in a bathrobe carrying a shotgun. He didn’t seem to notice us. He stormed out to his mailbox, checked his mail, and then went back inside. We noticed that a couple of the homes on that street had burglar bars on them. My buyers didn’t even want to look at the inside of the home we were at. They just wanted to go straight to the next property on our list. Once again, this is not something would not come up in an online listing. Remember, you are being marketed to when you are looking at homes online. Every listing is a commercial. Just know that there are a lot of details being left out of the listing. Only the strongest selling points of the property are being displayed. Make sure you have a REALTOR who will point out the positive AND NEGATIVE aspects of each home. If your agent only points out the positive points, they are just trying to sell you a home. Find an agent that is less of a salesperson and more of an advisor. 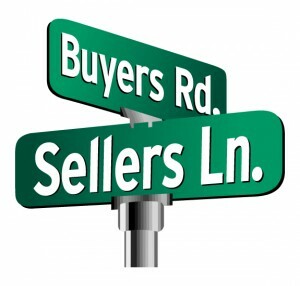 You should be the ultimate decision maker and in control of the whole buying process. Once you find a good advisor, be sure to listen to them and USE their experience to your advantage. Once you get that pre-approval letter in hand, the desire to find a house can cause a sense of urgency for some home buyers. Try to resist the temptation to speed up the home buying process. Remember, buying a home is not like buying a pair of shoes. It’s a major life-altering decision. Impulse shopping in real estate can have tremendously negative consequences. Get ready to invest time and energy to get the perfect place. It well be well worth it in the long run. In the same way that pictures can oversell a property, they can also undersell one as well. Many real estate agents are not tech savvy. Some of them use terrible photography methods, omit staging advice, and their listings suffer for it. If a property meets your criteria but doesn’t look great in the photos, it may still be worth checking out. You don’t want to miss the perfect home just because the listing is poorly created. I’ve had plenty of clients buy homes that they originally did not think they would like, based on the online listing presentation. This is just another area where having a good Real Estate Professional makes all the difference. It’s something to keep in mind while shopping for a home online. The rooms and balconies of hotels in Fort Wayne Indiana are modern and fully-equipped so that the visitors enjoy to the fullest. than hard plastic or wood handles, which makes a huge difference during a long day in the kitchen. Copper kitchenware has all of the features essential that you could possibly need in an amazing cookware set, and are available all kinds of designs, shapes, sizes, and prices.